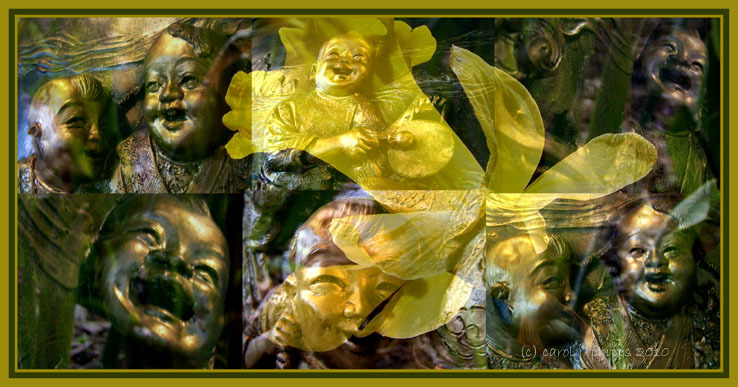 carol j. phipps | all galleries >> Galleries >> Spring_Scavenger_Hunt_2010 > #13 HAPPY! All of these smiling faces were part of a large relief sculpture in a local Chinese Restaurant. Nice one for happy. Well done. Lots of happiness in there. Nice processing. Beautiful work and captures Carol! Perfect for the word - but these faces always seem a little creepy to me. Love the collage of smiling faces! Made me smile!